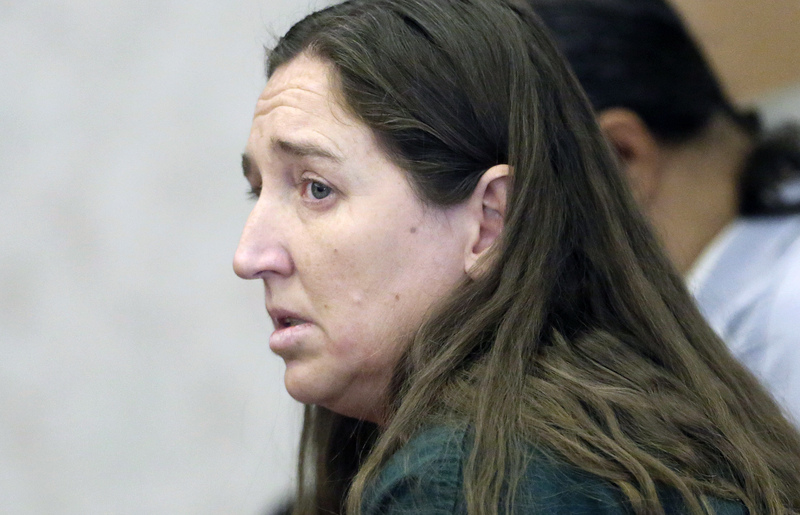 SALT LAKE CITY - A Utah woman who pleaded guilty to killing six of her newborn babies and storing their bodies in her garage has been sentenced to up to life in prison. A judge handed down the maximum sentence Monday to 40-year-old Megan Huntsman. Huntsman, who has three surviving children, told police she was too addicted to methamphetamine to take care of more kids during the decade the babies were born. She pleaded guilty to six counts of murder in February and said in court documents that she wanted to take responsibility for the deaths. Huntsman has said little during her court appearances in the year since her estranged husband found the tiny bodies in the garage of the home they once shared in the small city of Pleasant Grove. The grisly discovery sent shockwaves through the quiet, mostly Mormon community about 35 miles south of Salt Lake City. She told police she gave birth to the babies over a 10-year period from 1996 to 2006 and strangled or suffocated each child immediately after birth. She wrapped their bodies in cloth, put them in plastic bags and packed them in boxes, then left them behind when she moved out of the house, authorities say. A seventh infant found in the garage was stillborn. Husband Darren West was the father of all the babies and found the bodies in April 2014 following an eight-year federal prison stint on meth charges, authorities say. The couple lived together during the period the babies were born, but police have said they aren't investigating West in connection with the deaths. West, who also fathered Huntsman's surviving three children, has not spoken publicly about the case. Huntsman gave birth at home, but it is unclear how she concealed the pregnancies, births and deaths, police say. The case has moved quickly, with plea talks starting months after Huntsman's arrest and culminating with a deal in February that prosecutors say leaves fewer options for appeal than a trial would have, bringing final resolution to the case sooner. She pleaded guilty to the full docket of charges against her.